I set aside time this week to properly concentrate on writing my book. I had a deadline that seemed to be way of in the distance but now appears to be drawing closer and closer. So far I’ve snatched a few minutes between exercises in the gym or an hour or so on a slow moving London bus, jotting down observations or diary entries about grief. And so I guess this post is effectively one of those. This Monday I sat down to tackle 11th November, the dreadful day after the fateful night before. I wrote about the night itself a long time ago and it hurt. I realise now that I’ve been avoiding the next day out of fear for the trauma I might feel. I was right to be concerned too because these past couple of days have indeed taken their toll on me emotionally. After the first 30 minutes of writing I was exhausted from shedding the kinds of tears I haven’t cried for quite some time. Raw and torturous sobs of genuine anguish and despair. I began to imagine how it must feel for any person bereaved but, for whatever reasons, unable to face their grief. For those who leave it bubbling under unaddressed for months or even years. And for that chap who contacted me in January to explain that he’d suppressed his grief for his late wife for over seven years but was finally going to seek some professional help. How he must have erupted with pain when he finally faced his demons. I’ve heard grief referred to as a scab – “keep picking and it will never heal”, someone told me – but I think I somewhat disagree. This week has been hard. My emotions have been tested. And I’ve cried a lot. But I’ve noticed that none of those things actually scare me. Instead I’ve been able go back to the second most difficult day of my life and observe the progress that I’ve made. I don’t feel the guilt that I did back then because I’ve come to terms with the fact that there was nothing I could have done to change what happened. I don’t feel the same degree of constant physical pain I felt that day or during the weeks that followed. And I don’t feel angry towards the people around me who were only trying to show me how much they cared. Somehow I don’t feel like I’ve been picking a scab. If I have then it’s not a very nice word to use for my life. 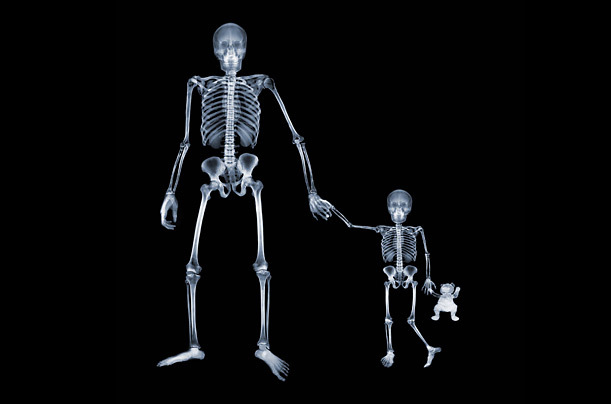 But perhaps I’ve given myself a metaphorical X-ray. And although the broken bones may never entirely heal nor be as strong as they once were, at least it’s something to see for myself that one or two of them are beginning to set. there comes a time when all that’s left of the person are the memories and the pain, To give up the pain is to face the loss, a second time over. So far I’m having a very hard time letting go; I hope you’ll do better than me! Wishing you all the best, ben. very well written..go on! it will help others..I have been on the same road ..with one difference; i could not and cannot cry…and i miss it..Walk this road,,have responsabilities towards other(s), your lovely son..it’s worth to do the journey! I’ve used that analogy in the past but for me “picking at the scab” was spending extra time with grief. Not my grief but grief in general. Searching for articles to post on a grief community, communicating with others on Widowed Village, and occasionally writing about my grief. Personal grief is a healing process, but for me, spending time commiserating with others about their grief was not helping my healing process. I needed to back away from other people’s grief. Part of the healing process of grief is not only the bittersweet memories and longings, but also the times you laugh and experience a joy. It’s a roller coaster ride. By picking at the scab I wasn’t permitting the highs to offset the lows. Many years ago, when I was little – just turned 3 my dad died. It was at a time when children’s grief was not recognised. We (my brothers and sister) lived through a further 20 years of my mother’s stuckness. Living every day like my dad had just died, living with her constant pain and anger. She felt nothing would help, her loss was the worst imaginable for her and it became our legacy, the filter through which we got to know our dad. This process is not only helping you but your son, and for this I commend you. I think once you move beyond it you can begin to give your son the gift of his mother back – the memories can flow without pain or idealisation and he can get a true sense of who she was and learn that life can be lived without a constant weeping wound of loss, he can live out of the shadow of her death as can you. And both of you can be in the joy of who she was and not what happened to her! It is so heartening to hear what you are doing for both of you. I’m going through some of the same stuff (crying a lot) because I am finally working on the book we started when he was fighting leukemia. It has been almost 4 years, but even doing the outline is torture. This entry was posted on July 3, 2013 by Ben Brooks-Dutton and tagged anguish, bereavement, book, broken bones, bus, counselling, cry, crying, deadline, despair, diary, exhaustion, grief, gym, observations, professional help, progress, scab, sob, suppressed grief, tears, X-ray.